Home » Oils for beauty » Clean skin » Pure tamanu oil benefits for skin: meet the miracle! Pure tamanu oil has extraordinary therapeutic, anti-inflammatory, analgesic, antibacterial, antifungal and antiviral properties. Since pure tamanu oil is so precious, ancient Polynesians considered it a sacred gift of nature. So if you still have doubts about the healing power of pure tamanu oil, check out the composition of this product. It includes three main types of lipids, fatty acids, terpenoids, lactones, sterols etc. The main active ingredient of the oil is calophyllolide – being a natural antibiotic it shows strong wound-healing properties. Actually, the wound-healing power of pure tamanu oil is so strong, that it has the capacity to encourage the generation of new tissue, accelerate wound healing and stimulate the growth of healthy skin cells. Also, tamanu oil not only restores the structure of the skin at the cellular level but also actively regenerates the blood and lymph circulation system. Having a very quick calming effect, tamanu oil relieves pain and reduces inflammation, accelerates the regeneration of all damaged skin layers. When applied to the skin, pure tamanu oil first gives you a feeling of a very heavy and dense film-like coverage. But wait a moment, and you will be surprised how quickly tamanu oil absorbs into the skin, without leaving even the slightest shine. Broken capillaries is a defect associated with the fragility of blood vessels, which sometimes burst, most often from temperature changes, spicy food, and alcohol. In addition, rosacea skin often blushes and is also sensitive to certain components of cosmetics, especially to abrasive particles of facial scrubs. Tamanu oil, applied on the rosacea skin, helps to regenerate tissues, to strengthen broken capillaries, and to prevent their future fragility. At the same time, the skin becomes saturated with lipids and its sensitivity decreases. You can apply pure tamanu oil on the affected areas or on the entire face. Pure tamanu oil contains about 8% of natural vegetable wax. As a result, it is able to protect and nourish even very dry skin, especially in the cold season. Tamanu oil cures cracked or flaky skin, which is often a sign of dehydration. You can also use pure tamanu oil to restore the skin after aggressive procedures, for example, peeling. The price of pure tamanu oil is quite high: you need to process 20 kg of tamanu seeds to get 1 kg of oil. Oftentimes producers dilute pure tamanu oil with other cheaper carrier oils to cut their cost. Consequently, it has a negative influence on the oil´s healing properties. Many cosmetic companies sell tamanu oil as an elixir, therefore – as a mixture of tamanu oil with essential oils or plant extracts. So-called “beauty tamanu oil” or “tamanu oil elixir” cannot be considered as a proper carrier oil, because the ratio of pure tamanu oil and oil-diluents, preservatives, flavors and other additives is unknown. When buying tamanu oil, it is very important to closely monitor not only the composition but also the information on the label. Pure tamanu oil is extracted from the seeds of the Alexandrian laurel (Ball Tree). The most common names of the oil are Tamanu oil, Alexandrian laurel oil, foraha oil. Also. to make sure that you will get pure tamanu oil, check the Latin name of the tree species – Calophyllum inophyllum. Please note, that this plant belongs to the family of the Calophyllum and despite the fact that it is often called the Alexandrian laurel, it has nothing in common with the laurel and the family of the Laurels (Laurus). So don´t be misinformed. 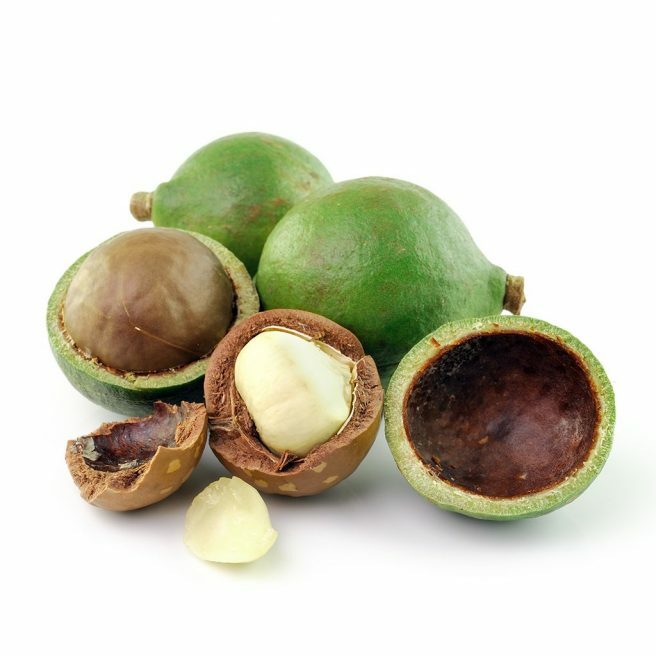 Finally, pay attention to the information about the origin of tamanu nuts. The best would be to buy oil that is produced from tamanu nuts that grow in areas, such as Southeast Asia, Madagascar, Polynesia. Producers should indicate the region of production and accurately describe the processing of tamanu nuts for oil production. Due to the fact that tamanu oil is rather a rare one, you will probably not find it easily accessible in over-the-counter stores. However, if you ask yourself where to buy pure tamanu oil, I would advise to buy it online, so that you have a better choice. You would always want to go for pure, organic tamanu oil, as it has the highest concentration of healing elements. Best used for Psoriasis, Eczema, Acne Scar, Foot Fungus, Rosacea. Great relief for Dry, Scaly Skin, Blisters. Perfect for those who suffer from dermatitis, dry scalp and flaky, scaly or overly dry skin. QUALITY: Pure tamanu oil, cold pressed. 100% pure, undiluted and free from any added chemicals. The oil comes from Vanuatu, in Polynesia. CUSTOMER REVIEWS: 1) Cleared eczema patches when regular creams didn’t seem to work. 2) Removed stubborn patches of scalp psoriasis. 3) Helped a lot with atopic and seborrheic dermatitis. Best used for acne, old scars, eczema, psoriasis, stretch marks, shingles, rosacea. Perfect for those who suffers from dry skin, itchy scalp and hair loss. QUALITY: 100% pure organic virgin cold pressed tamanu oil – NO additives, parabens, fillers, preservatives, or fragrances. Sourced directly from the South Pacific Islands of Vanuatu. CUSTOMER REVIEWS: 1) Helped eyebrows to grow. New eyebrow hairs are much thicker. 2) Helped to fade acne scars, did not cause the skin to break out. 3) Removed dried up scabs and lightened dark marks. Best used for acne and acne scars, eczema, psoriasis, toenail fungus, stretch marks, age spots, skin rashes, and dermatitis. Perfect for those who suffer from dry scalp and frizzy hair. QUALITY: Pure organic tamanu oil; therapeutic grade, pure, cold pressed, no additives, unfiltered, unrefined and undiluted with no fillers. Sourced directly from Vietnam. CUSTOMER REVIEWS: 1) Great for surgery scars. 2) Noticeable reduction in the frequency of breakouts. Helps to reduce skin redness quickly. 3) Reduced Cleared eczema patches. Previous Post Evening primrose oil to induce labor: when to start? 5 commentsOn Pure tamanu oil benefits for skin: meet the miracle!